Currently, there are 12 Bombardier Global 5000s for sale of 219 aircraft, representing 5% of the active fleet. The average asking price is $17,657,000. Click here for the Bombardier Global 5000 August 2018 Market Report. Currently, there are 13 Bombardier Global 5000s for sale of 219 aircraft, representing 5% of the active fleet. The average asking price is $18,145,000. Click here for the Bombardier Global 5000 July 2018 Market Report. Currently, there are 11 Bombardier Global 5000s for sale of 219 aircraft, representing 5% of the active fleet. The average asking price is $17,763,000. 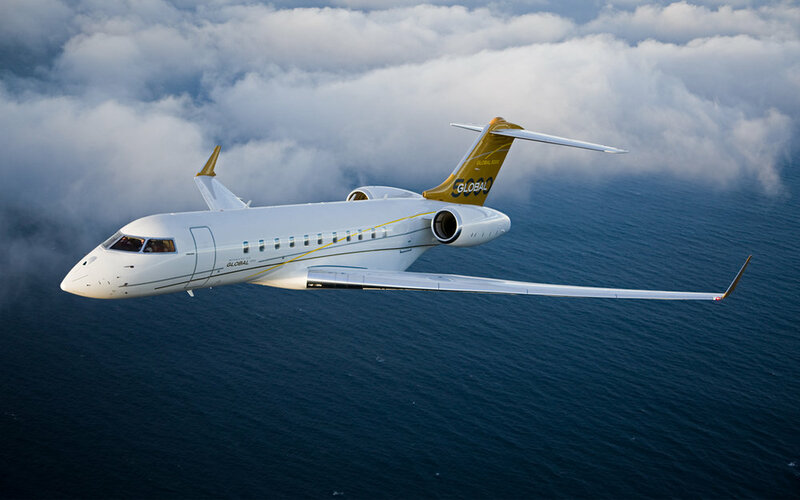 Click here for the Bombardier Global 5000 June 2018 Market Report. Currently, there are 10 Bombardier Global 5000s for sale of 218 aircraft, representing 5% of the active fleet. The average asking price is $18,149,000. Click here for the Bombardier Global 5000 May 2018 Market Report. Click here for the Bombardier Global 5000 March 2018 Market Report. The average asking price is $18,990,000. Click here for the Bombardier Global 5000 January 2018 Market Report. Currently, there are 12 Bombardier Global 5000s for sale of 214 aircraft, representing 6% of the active fleet. The average asking price is $20,283,000. Click here for the Bombardier Global 5000 November 2017 Market Report. Currently, there are 17 Bombardier Global 5000s for sale of 216 aircraft, representing 7% of the active fleet. The average asking price is $16,805,000. Click here for the Bombardier Global 5000 September 2017 Market Report. Currently, there are 17 Bombardier Global 5000s for sale of 212 aircraft, representing 8% of the active fleet. The average asking price is $17,137,000. Click here for the Bombardier Global 5000 July 2017 Market Report. Currently, there are 18 Bombardier Global 5000s for sale of 212 aircraft, representing 9% of the active fleet. The average asking price is $19,191,000. Click here for the Bombardier Global 5000 May 2017 Market Report. Currently, there are 17 Bombardier Global 5000s for sale of 212 aircraft, representing 9% of the active fleet. Click here for the Bombardier Global 5000 April 2017 Market Report. Currently, there are 17 Bombardier Global 5000s for sale of 210 aircraft, representing 7% of the active fleet. The average asking price is $20,842,000. Click here for the Bombardier Global 5000 January 2017 Market Report.